Since I've worked in SEO for a number of years and it's one of the main ways I broke into Marketing along with Blogging and I'm often being asked about secrets to SEO. Well, truth be told if there were/is any secrets I have no idea about them. 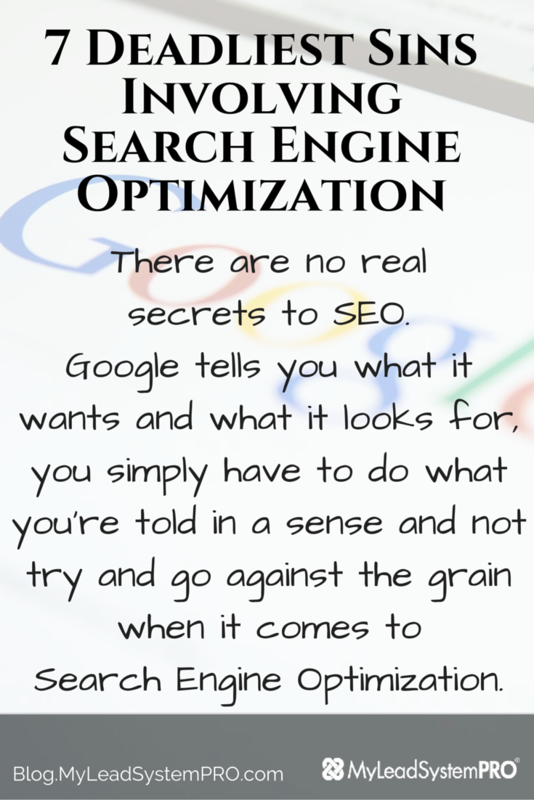 There is no real secrets to SEO. Google tells you what it wants and what it looks for you simply have to do what your told in a sense and not try and go against the grain when it comes to Search Engine Optimization. Today I've listed 7 of the most deadliest things you can do to get on Google's bad side and possibly have your website devalued and deranked. Part of knowing what to do is knowing first and foremost what not to do. SEO is not a piece of the overall Blogging puzzle it is part of the puzzle as a whole. For example Content is a piece of the puzzle and when your ready you will insert that piece or those pieces ongoingly however SEO has 3 parts and they extend from the beginning of your project to the very end. SEO involves In-Page, On-Page and Off-Page. Meaning from the very beginning of building your website you need to piece in SEO. When your site is built and your placing Content etc, you need to piece in SEO. Once your site is completed you need to piece in SEO. SEO involves every stage and needs to be considered throughout your entire project. There is a lot of talk and has been from the beginning about Black Hat SEO vs White Hat SEO. I've never been one to support the Black is bad and White is good concept because in my experience all bad is not bad and all good is not good. There are a lot of strategies that people think are bad which can actually be good for your visitors, just bad for search engines and there are a lot of strategies that people consider good for search engines but can actually be bad for your visitors. I like to focus on what I call (G.A.S) Gray Area SEO. Gray area SEO is merely doing what Google wants you to do within a certain border. Some things that work on one post may not work for another post you have depending upon a huge number of factors such as the keywords your going for, the amount of content you have on your post and so much more. These thing play a major role in exactly how much or how little SEO is needed to give you what you need to make Google see that you are worthy of a top position in the search engines. SEO is a language to me and you need to be able to speak it for both your visitors and the algorithms. Your content and everything else on your website needs to be properly understood by search engines as well as people. If your writing for one and forgetting about the other your setting yourself up for a major set back in my opinion. What do you expect your visitors to get out of your posts? What do you expect search engines to get out of your posts? Now combine the two into what I like to call On-Page Matrimony. People get too caught up with just promoting there entire site (Front Page) with SEO and forgetting that everyone that comes to your website does not come by way of the home page. 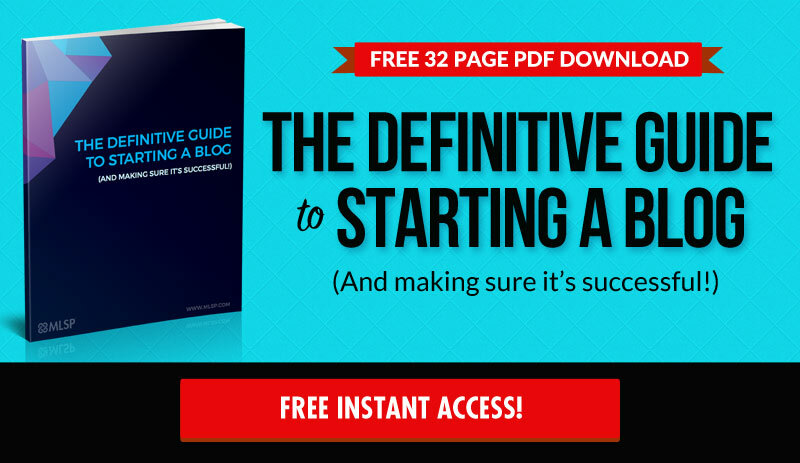 Every single page you produce on your blog needs some SEO juice and collectively they all will help each other out. Be sure to spread the love for each page and post you create. You want every page and post ranking high in the search engines. How else can you become an Authority in the eyes of Lord Google if your just building on one leg instead of 100 or 1,000? Some people simply don't wanna think of SEO or implement it in anything they do on their site. They divorce SEO before they think about getting married to it. This is a grave mistake that has costed hundreds of thousands of Bloggers countless leads, sales and profits. You want this and you need this. Take time to get to know SEO and make it a part of your daily tasks on your site. The more you get into it the more your going to see that this is a match made in the Heavens of the World Wide Web. SEO is a marathon along with Blogging, Content Creation and everything else. Understand that this all takes time and you must be content with a little at a time knowing that all that you are doing will eventually pay off big if done correctly. Don't expect to see results over night or even over weeks and months for that matter. Is it possible? Of course but very rarely does it happen unless your mixing just the right ingredients. I'll had it happen countless of times so I know that it's possible but then again I've also studied the ins and outs, good and bad of SEO for many years to get to the point I'm at with it. Some people don't do hardly enough SEO and some over do SEO as a whole. Both of these are not good. You must remember to always provide just enough SEO in everything you do so that it overall helps your site with it's ranking. Don't over think SEO and certainly don't under think it. Like in the story of the 3 Bears everything needs to always be just right for your visitors and the search engines. There may be some trial and error in this process of getting it right but never just give up on it and never ever ever do too much or it will certainly hurt you in the end. If you noticed I didn't get much into things like duplicate content, over stuffing keywords, not to forget alt tags and the like but these are given things to take into account. I will most certainly do a part 2 of the 7 deadliest sins of seo and include them for those who may be more interested in the On-Page Sins of SEO. Here I covered a few In-Page and Off-Page sins but there are certainly countless others that need to be taken into consideration. Top 5 results get 75% of the clicks. SEO Matters! 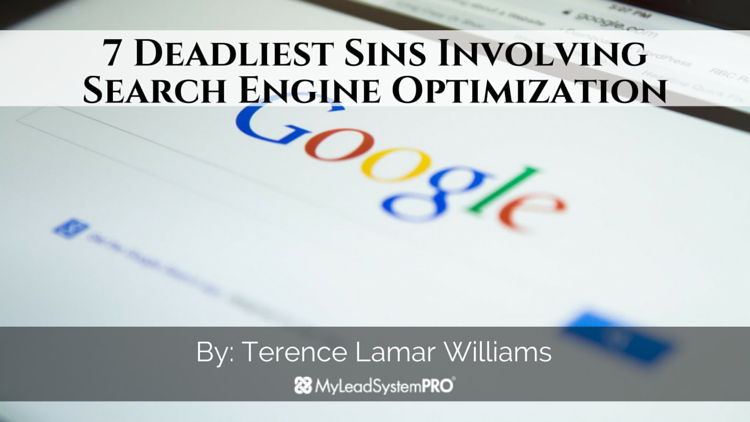 What are some of the deadliest sins you can think of when it comes to SEO? I'd love to hear some of them. Here is a list of 7 of the most deadliest things you can do to get on Google’s bad side and possibly have your website devalued and deranked. Part of knowing what to do is knowing first and foremost what not to do. **** This right here is why you should stop ignoring SEO, and start embracing some of the tips in this blog post! Thanks Terence! Home Page Happiness, I see it everyday in my business as well! Thank you for an interesting and entertaining reading.